Did you notice the 5th tab? 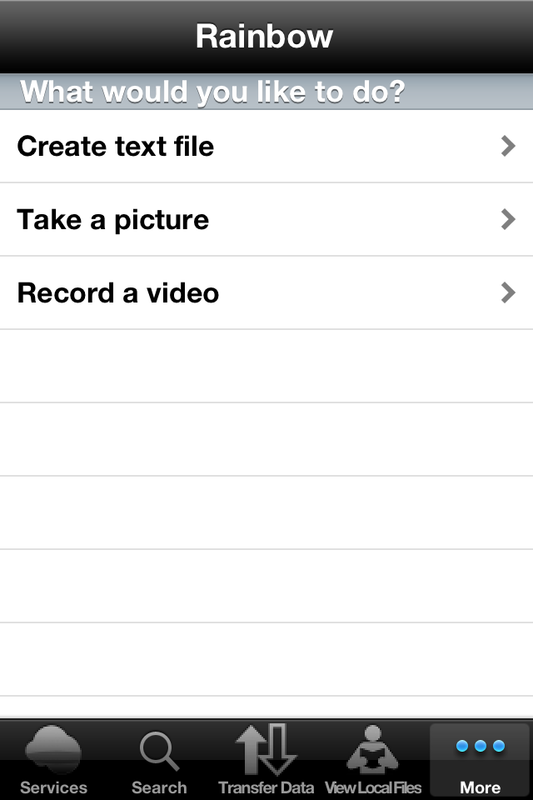 If you do click on that tab, you will be able to create a text file, take a picture or record a video. These files are saved locally, but you can later use the tools that the Rainbow application has to transfer them to any cloud service you like. 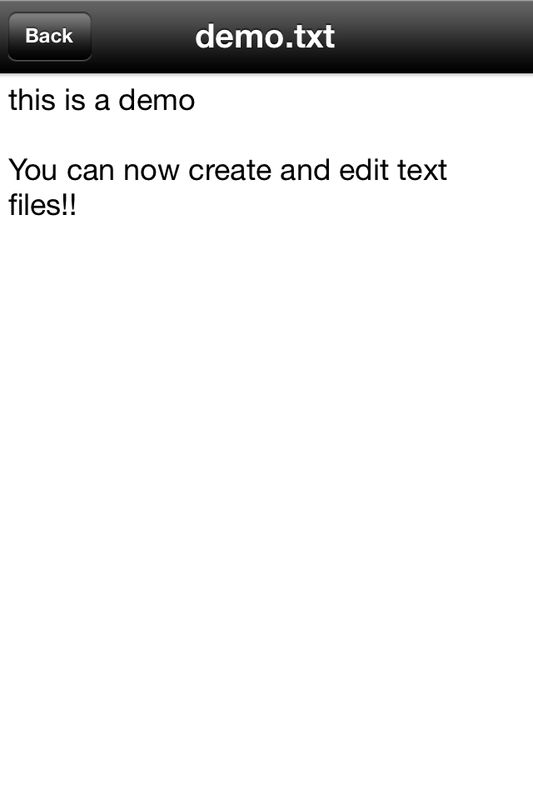 More importantly, you can edit a text file. When you view a text file, in the top right corner you will see the "Edit" button. If you click on that button you can make changes to that file. Note, however, that you can edit only text files. Namely files that a texteditor will open. If you try to open a file which filetype is not recognized then you will see the screen on your left. Please, remember that the Rainbow application can open images/video files and pdf, text, word, and excel files. 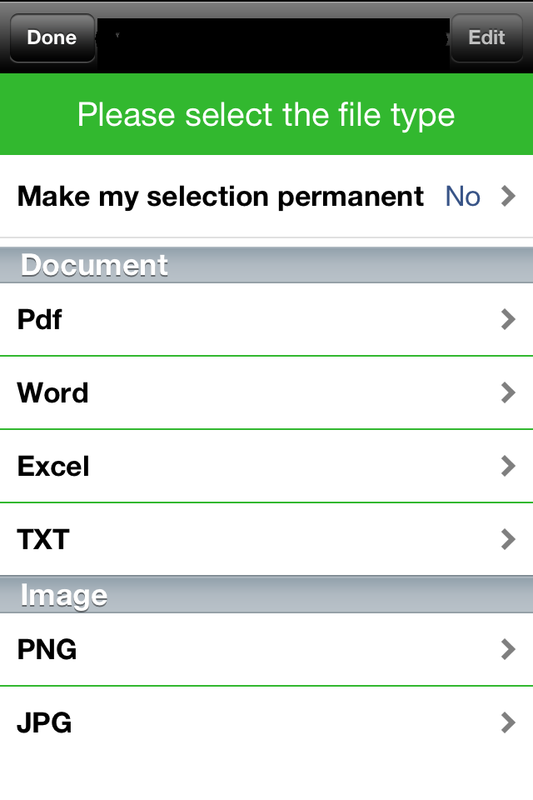 If you have a file of this kind, then with the help of the above screen, you can view this file by selecting the correct type. If you wish, you can make your selection permanent. This means, however, that the name of the file will be changed, as the appropriate extension will be added to the file. We recoment to test your selection before you make it permanent.